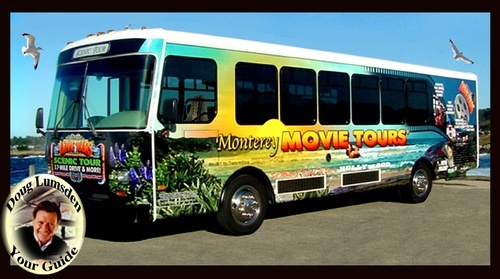 Name: Monterey Movie Tours 20th Anniversary Ribbon Cutting Celebration! Sip & Savor as we CELEBRATE Monterey Movie Tours 20th Anniversary at Il Fornaio Thursday, April 18th 5PM until 7PM!! 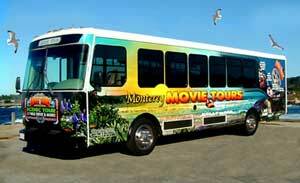 Monterey Movie Tours is celebrating its 20th Anniversary! 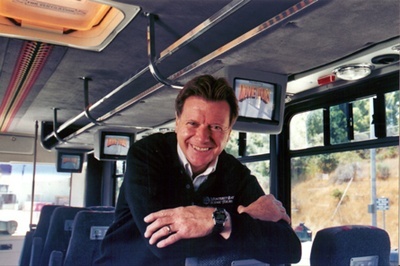 It has become the longest running daily scenic tour operator on the Monterey Peninsula guided each day by its founder and narrator Doug Lumsden. This unique, nationally recognized outing highlights the breathtaking scenery and fascinating history of the area enhanced by showing scenes of blockbuster movies on overhead monitors at the exact location where they were filmed. 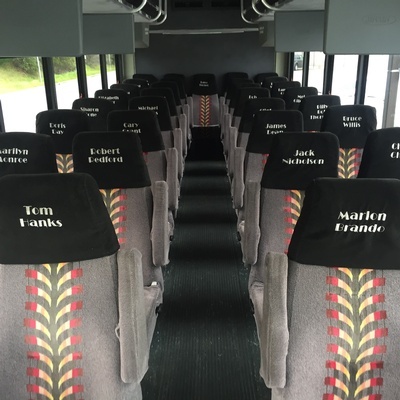 Your experience takes place in a multimedia customized luxury tour coach with high back seats and personal headsets!